Tirana is not only the capital of Albania, but it is also the main economic and cultural center of the country. 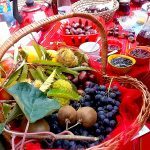 Life in Tirana revolves around the beautiful Scanderbeg Square located in the center of the city. This retreat in the middle of the bustle of the biggest city in Albania boasts museums, an Opera house, the Palace of Culture and countless shops and cozy cafes. The buildings you will see as you walk around the square are a reflection of the periods that have influenced Tirana’s architecture. Only the Clock Tower and Et’hem Bey Mosque remain as reminders of the city’s Ottoman past. Tirana is unquestionably the dynamic center of Albania thanks in part to its lively nightlife. Experience the theaters, restaurants and clubs, most staying open all night. Bars and clubs are located throughout town, particularly in the “Bloku” area. In them, you can find all kinds of live music, from jazz to house, to funk, and even Latin. Tirana’s museums and theaters have in recent years hosted many artists and world-famous performers. If you only have time to visit one place in Albania, this would give you the most well rounded view of our country. Kruja, Albania was the most important Balkan town during the 15th century. It successfully withstood at least three major sieges by the Ottoman Empire. The medieval hero Gjergj Kastrioti (a.k.a. “Scanderbeg”) had a base of operations there. The Albanians consider him a symbol of resistance and a savior. Even the Ottomans believed that a supernatural force dwelled in him. Because of this, after his death they destroyed his tomb in order to take parts of his bones as good luck charms. Visit a fortress dating from before this time as well as a museum (nestled inside a castle!) dedicated to Scanderbeg’s life and military exploits. In the southern region of Albania along the banks of the Osumi River, you will find one of the most ancient towns in Albania. 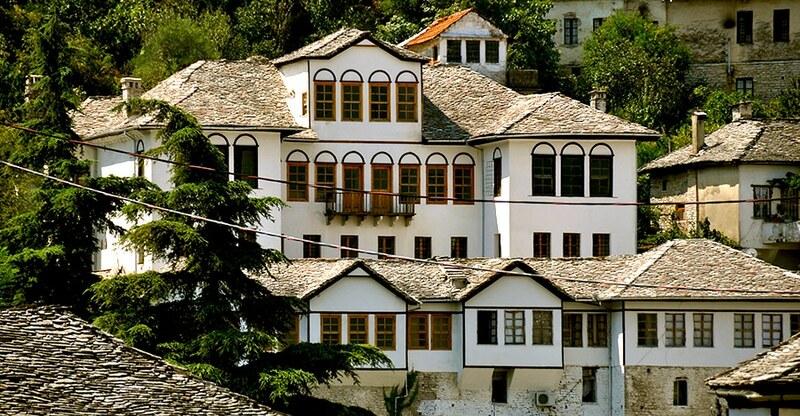 The innumerable monuments and characteristic architecture of the houses have proclaimed Berat, Albania a “Museum Town”. The town itself has three distinct parts: Gorica, Mangalem and Kalaja. Within Gorica you will find the well-preserved ruins of a castle dating from the 4th century BC. On the other side of the river you will find the old district of Mangalem. Next to that is the Kalaja fortress and the residential quarter still housed within. Crossing the Gorica bridge leads you from Mangalem to Gorica. Both are well preserved areas containing buildings with characteristic architecture from the Ottoman Empire. As you walk through on narrow, charming paths, you will see a great number of windows overlooking the town. These large windows give Berat, Albania, the name “Town of a Thousand Windows.” This living piece of history abounds in cultural and religious heritage, historic architecture and natural beauty. It is a remarkable scenic town, just as important today due to its rich history and architecture as it was over two thousand years ago for its political and commercial significance. Gjirokastra is one of the most attractive towns in Albania. Called the “stone town”, it is of particular interest for its native architecture. The characteristic houses are built one above the other around the fortress which looks like a huge battle ship. In fact, even the houses look like small fortresses in themselves. From the outside they perfectly combine roughness with the beauty of windows, small rooms, and small, light pillars supporting the roofs. Their most attractive and unique feature is the intricate stonework. UNESCO has included Gjirokaster as a world property of cultural heritage and protection, reflecting even more this city’s cultural significance. Durres, located half an hour from Tirana, is the city of ancient culture. Archeological excavations have uncovered sections of the thick protective walls that used to surround the city. Lively modern restaurants and shops now surround and integrate with these beautiful ancient reminders. Durres was the site of one of the largest harbor cities of antiquity on the eastern shoreline of the Adriatic. Despite the devastations that city had suffered through the centuries, people have inhabited it up to the present day. The construction of the new city on the leftovers of the old one has made it difficult to discover the relics of antiquity. Urns dating from various epochs, as well as Illyrian ornamental objects and grave stones have brought to light the very important role played by Illyria in the lifestyle of the city. In 30 AD, Romans turned it into a colony after a successful conquest of the city. Durning the 1st two centuries B.C, the Romans built some very magnificent works such as: the “Egnatia Road”, the aqueduct, amphitheater, the public baths, library, temples, mosaics and beautiful sculptures. All can be found dotted around the city. Saranda, with its pristine waters and beaches, is one of the largest tourism centers in Albania. Every year tourists from around the Balkans and the World consider it the best opportunity for relaxation and entertainment. The many nearby beauties and the pleasant atmosphere of the city make this one of the top places to visit in Albania. Saranda’s natural attractions include the deep blue waters of Ionian Sea, the natural spring of pristine water called the “Blue eye,” and the nearby sandy beaches of Ksamil. Its historic attractions include the characteristic small villages, and the cultural and historic archeological park Butrinti (UNESCO). Because of its strategic position near the island of Corfu, cruise ships covering the Mediterranean have enlisted Saranda’s port as an important destination. 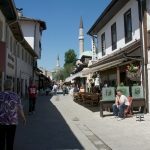 Shkoder is known as an old artisan center, it is one of the Europe’s oldest towns. In the 3rd century B.C., it was the capital of the Illyrian Kingdom of the Ardians. It has been an important center of industry, where its economy was built on producing electric wire and cable works, wood, paper, fabric, and food processing. One of the most important places to visit in Shkodra is the Rozafa Castle. It is one of the most fascinating places because of its location and the history it holds. The castle is situated at the top of the hill, overlooking the town. Unlike the other cities we’ve mentioned on this list, Apollonia isn’t a modern, occupied city. Instead, it is the ruins of a city that used to be a major port and departure point for travelers along the Via Egnatia. Today it is an archeological park and museum open to the public with footpaths and sights spread over several hectares. On the way to Apollonia, you will notice traces of communism dotting the hillside. During the communism, Enver Hoxha built 173,371 bunkers throughout the country. Many of the most impressive can be found in the hills around Apollonia. They were never used for the purpose they were built for during the communist regime. Nowadays they function mostly as a touristic attraction.